Dublin always excites the party-goers in just about everybody: Guinness brewery tours, lively pubs with live music, somehow the town inspires lots of visitors to don stupid hats and wander in happy groups, expecting a party around every corner. But to keep up that pace, it's good to do something healthy beforehand, like taking a good run. 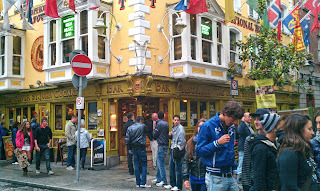 There's nothing better to really get to know this place than to run off the normal tourist tracks and explore a lot of the interesting neighborhoods away from Temple Bar. So here is a short list of some of the best running escapes in this very lively town. 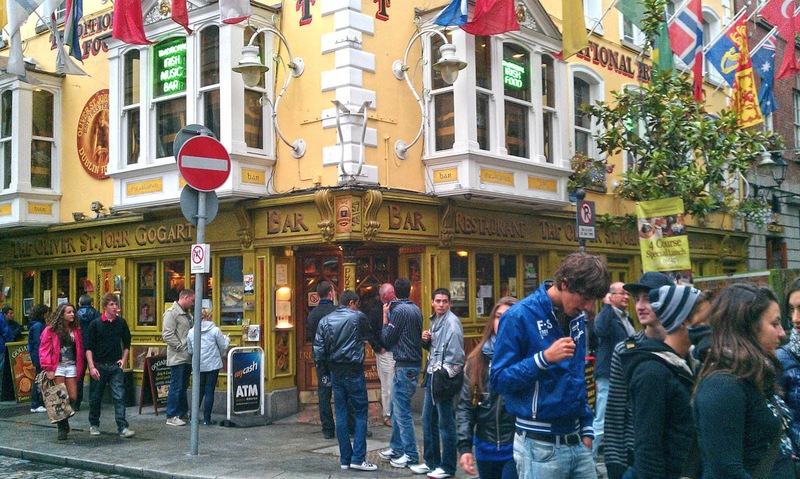 Before diving into the Temple Bar scene, see the town for real with a great run! Town Center Loop: This run circles the town center, letting you experience a bit of everything: Temple Bar, the River Liffey, Merrion Square, St. Stephen's Green, and past the castle. A good way to get a good impression of Dublin! Howth Cliff Walk Trail: For a taste of the natural beauty of Ireland, try this cliff run just north of Dublin city, easily reachable with the DART train. River Liffey Run: This route starts at the Ha'penny Bridge in Temple Bar and heads down the river through the newly redeveloped docklands areas on both sides of the river, with their interesting mix of historic and modern waterfront living. Phoenix Park: This big area of greenspace, filled with sports fields, gardens, monuments and ponds, is within running distance of the town center. Try it out! Georgian Heritage Run: This route concentrates on the beautiful Georgian-era architecture scattered through central Dublin. Trinity College, Merrion Square, the Grand Canal and its locks, St. Stephen's Green, then home again along famous Grafton Street. Dún Laoghaire (Dunleary): Dublin's seaside jewel, with a huge marina and picturesque cottages, a rocky coastline and Bullock Castle.